Order your Special Tomato Jogger and the Medical Necessities Bag and use Coupon Code "FREEMNB" during check-out to get the Bag for free! You must put both the Jogger and the Medical Necessities Bag in your cart and click the apply button next to the Coupon Code during check-out. 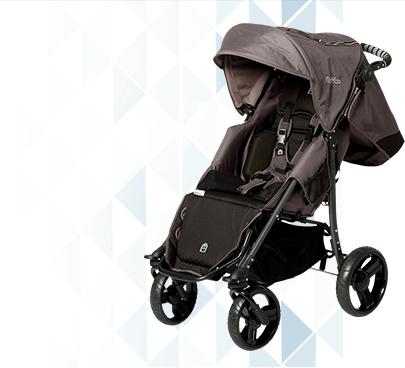 Finally, the ultimate lightweight jogging style stroller pushchair is here - weighing only 27 lbs. (12 kg)! 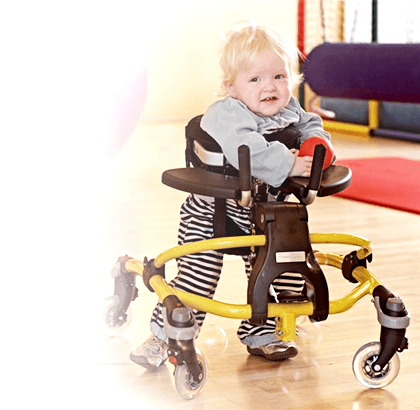 Whether your busy lifestyle takes you through city streets or rugged outdoor trails, the Special Tomato Jogger will provide optimal comfort and support for your child's special needs. The Special Tomato Jogger is an easy folding, lightweight, all terrain stroller pushchair for children with mild to moderate physical involvement. 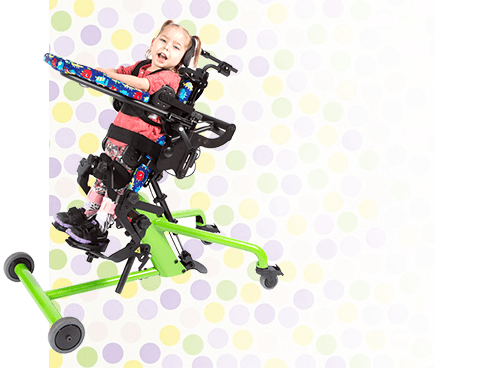 This special needs all-terrain jogging stroller comes standard with a functional rear suspension, ensuring a smooth ride over most surfaces. 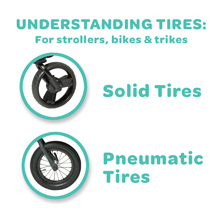 The swivel front tire makes maneuvering in tight indoor spaces a breeze, too. 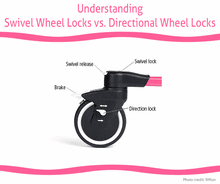 For straight line strolling and rougher terrain, the front wheel can be locked inline easily. The Special Tomato Jogger stroller was expertly designed to meet the comfort and support needs of each child in a convenient, easy-to-use, compact folding system for their parents and caregivers. The Special Tomato Jogger stroller can be used for casual strolling and light jogging. 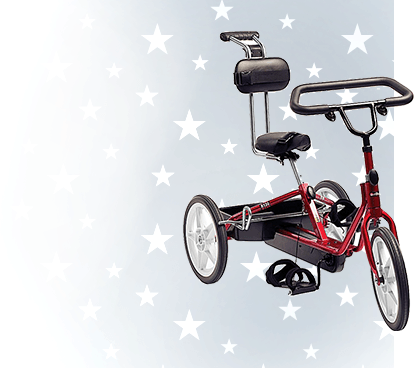 With its folding frame and quick release pneumatic tires, the Special Tomato Jogger fits compactly into the trunk of most cars with minimal effort. You do not need to remove the wheels to fold the Jogger. 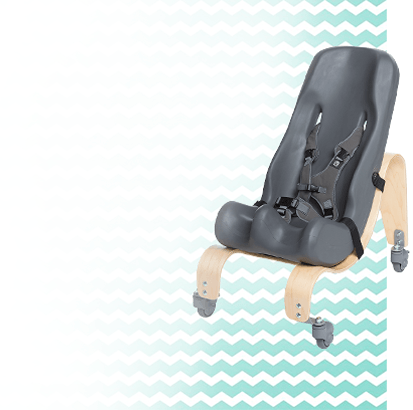 The padded seat back can be adjusted anywhere from 10 degres through 15 degrees from the upright as needed to increase postural support and stability. And it can also be set at a 50 degrees recline for relaxation and naps. 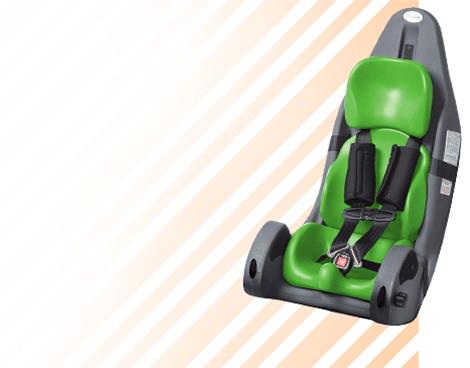 By adding the optional Soft Touch Liner back and seat pads (sold separately), the Special Tomato Jogger will provide additional lateral trunk and pelvic support for improved upright seated positioning. 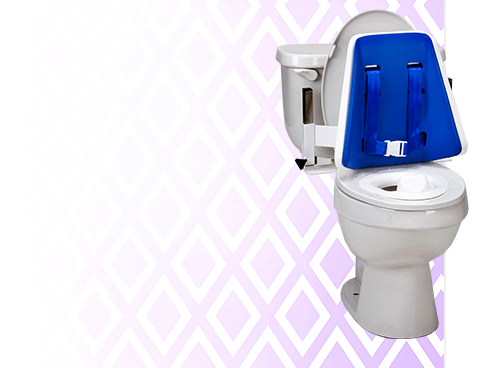 The Jogger can be folded with the Soft Touch Liner back and seat cushions installed. With its standard features alone, the Special Tomato Jogger all terrain stroller pushchair is certain to provide your child with unsurpassed cushioning comfort and support, so enjoy the ride! 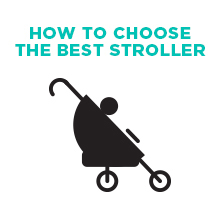 Click here to view the Special Tomato Jogger Stroller Manual! **Medical Necessities Bag measures 13" x 13" x 5"
Red lever shown in video above has been replaced by a closure strap.